The owner of this orchard has grown plums for many years, specialising in local and often rare varieties. Anyone who has tasted a fresh plum from the tree will know that how different they are from the hard, tasteless plums we find in the supermarkets. This orchard is full of such seasonal delights. 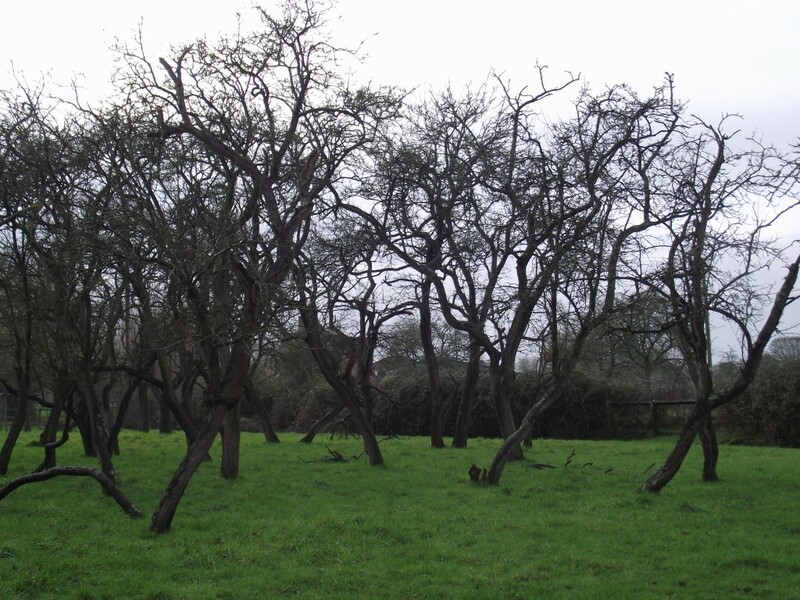 The orchard has become rather overgrown, and many of the trees are nearing the end of their productive life. Plum pox is a huge problem today and has caused many plum producers to struggle to provide a good crop. 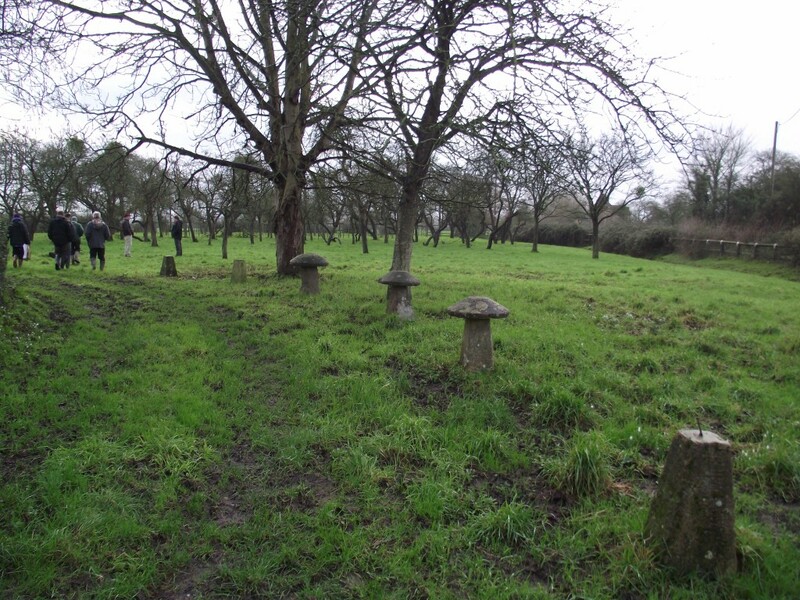 This orchard has suffered from pox, which if left unchecked might cause collections like this to become a rare sight. 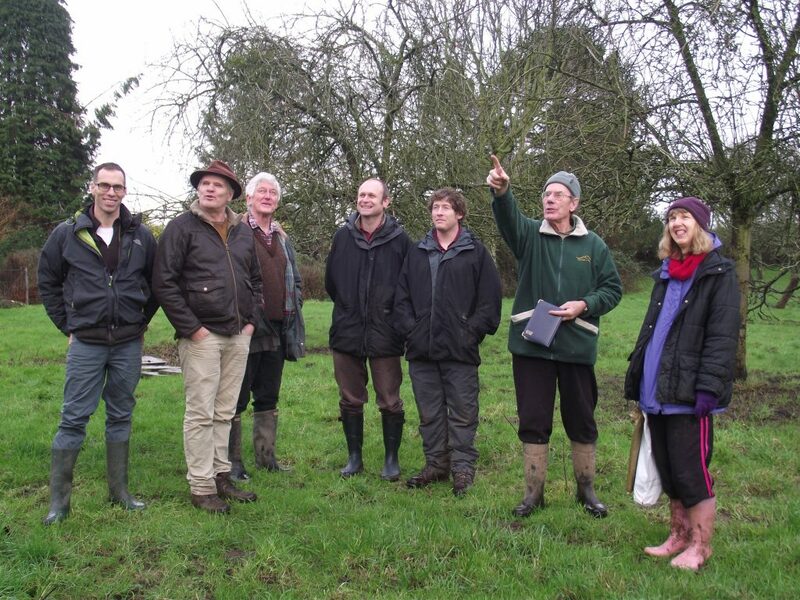 We are hoping that Gloucestershire Orchard Trust can support restoration work in this orchard. We will try to keep the remaining trees as healthy as possible by removing diseased wood. Good pruning will let in light and air where the trees are too close together. The orchard is a haven for wildlife – while we were visiting a little owl was perched on the fence nearby. A campaign to save the endangered little owl is currently under way and we plan to help out. This little bird loves orchards so this is an ideal location for a nest box which our volunteers will monitor to see how many chicks fledge. 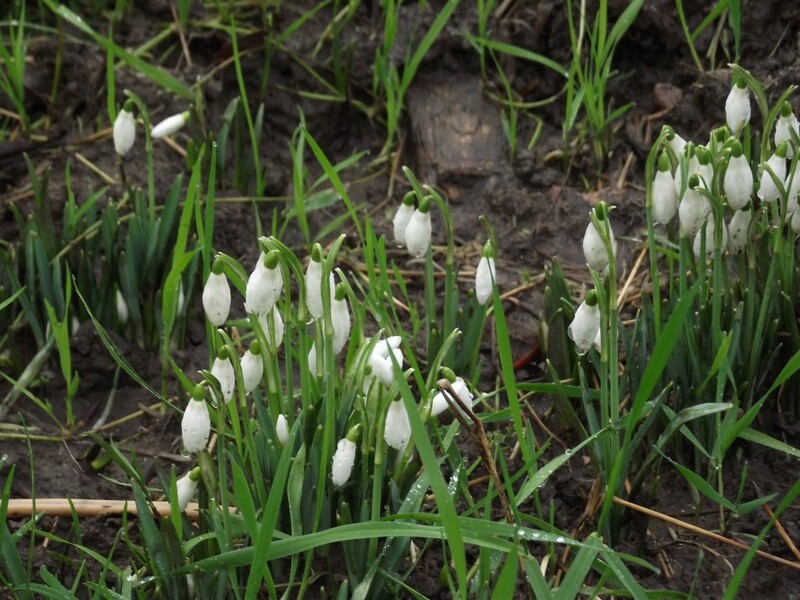 Our wildlife surveys show that many of our orchards support an amazing range of birdlife. We hope that the number of birds visiting Bearmans will increase! All the work here will be carried out by TCTOP volunteers under the watchful eye of Gloucestershire Orchard Trust mentors. We want to support owners with an interest in local fruits and the family here have cultivated local plums for several generations. We hope through this work, the orchard and our local plums are still there for future generations.